In a strong move, Romanian parliament has voted in the favour of mass killing of stray dogs in the capital city of Bucharest. This came as a response by the government after a pack of stray dogs mauled an unfortunate four-year old boy to death in Bucharest last week. The 266-23 voting with 20 abstentions came as a surprise as earlier Bucharest Mayor Sorin Oprescu had announced holding a referendum on October 6, asking residents if they agree with the euthanasia for stray dogs. 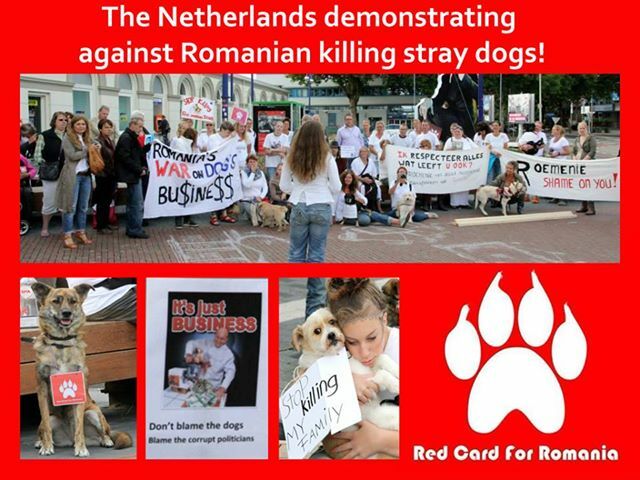 Hundreds of Romanians rallied and demonstrated their support to the government’s move to kill stray dogs in the city. President Traian Basescu has called on the government to pass a law on euthanasia for strays, saying “humans are above dogs”, as reported by the BBC. The chamber of deputies made the amendment to the law on stray dogs, setting a 14-day ultimatum during which, if a stray dog is not claimed for adoption, then it will have to be euthanized. Death of a four-year old kid is an unfortunate event; however killing the entire population of the stray dogs in the city may not be a good judgement as there are many more ways including mass sterilization which can be more effective. In recent years, a pack of stray dogs killed a woman. Later, a Japanese tourist died after a stray dog attacked the artery on his leg. According to animal welfare officials in Bucharest, stray dogs from January to April 2013 bit about 1,100 people. There are nearly 65,000 stray dogs in the capital city of Romania. Killing them for this reason appears as if authority is masking their inability to control the population of stray dogs. In Romania there is a big problem of people abandoning their pets in the streets or forests. Most of them are unsterilized, free to multiply adding to the problem of growing population of stray dogs. Daniel Fenechiu leader of PPDD said that it is regrettable that that government has reached to a situation with a law allowing the mass killing of animals to mask the incompetency of mayor and district mayor. The mass killing of animals will do no good for the improvement of the image of Romanian nation. Member of Parliament Ceren Remus said that mass killing is a false solution, and according to studies by the institutions in this field, euthanasia is the most expensive and inefficient method. Various campaigners and animal rights group have been urging the government to adopt mass sterilization instead of mass killing. Which is a long term plan, but effective. Mass sterilisation program has shown its effectiveness in another Romanian city, Oradea, where the number of stray dogs came down from 5000 to mere 300. Mass euthanasia of animals is not something new, often animals and birds undergo mass killing to prevent the spread of diseases like bird flu. Animal’s harmful behaviour, rabies, old age is also the cause of mass killing. However, in some countries like the UK, mass euthanasia is banned. 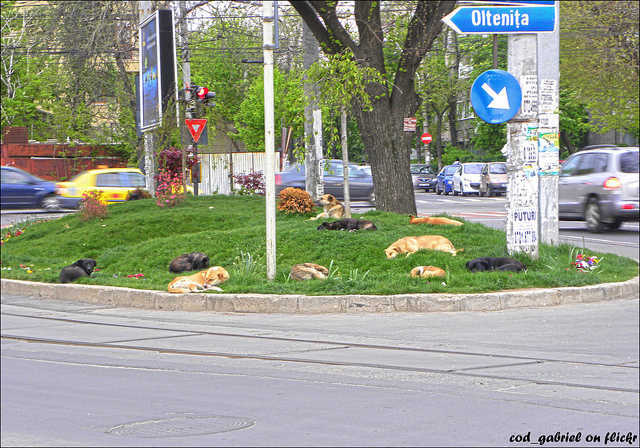 Do tell us your opinion, what do you think is the solution for controlling the problem of stray dogs in Bucharest? Please tweet and share this article on Facebook with the hashtag #strays or #Romaniastopanimalabuse. Please share and join the discussion on facebook by clicking the “Like” below.